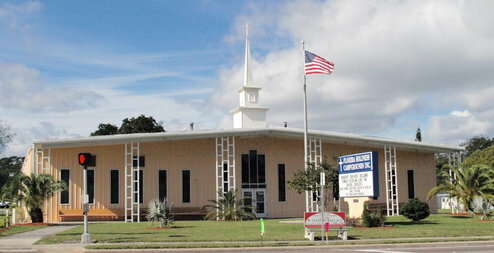 About the Florida Holiness Camp Grounds, Inc.
Florida Holiness Camp Grounds, Inc. was established in 1925. It is a Christian Holiness community for retired adults 55 and older. To proclaim the Wesleyan Doctrine of Scriptural Holiness through teaching and preaching and to provide a place for Christians to fellowship in a warmer winter climate. Being a faith-based, Christian camp ground, we strongly encourage and expect all residents and visitors to follow camp policies and expectations for the good of all. During camp meeting, residents and visitors are expected to attend the services. We discourage use of the recreation facilities during service times and on Sunday. Only emergency work shall be performed on Sunday or during camp services.